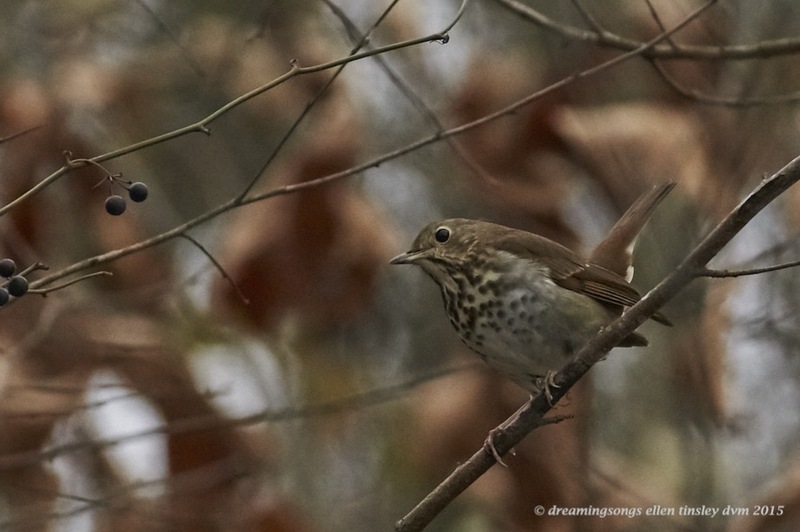 My friend had taught me the call of the hermit thrush because you way more often hear a hermit thrush than see one. And so, I was watching black vultures when I heard, looked and then saw this lovely bird. Posted in Haw River, Jordan Lake, photography, wild birds and tagged as Haw River, hermit thrush, Jordan Lake, song bird.